When your engaged in the process of creating a new part how can you be sure it does not already exist? May be it was created for a different project, or may be a very similar part already exist and could be used for your new project if you only new it exist! With 3DPartFinder for CAD with PTC Creo and Windchill PLM you can always find what is available before creating a new part… and then spend more time on a true innovation! No need to learn new software! Select a part or draw a rough 3D model in your CAD! Use any function of your CAD system to analyse the search results more efficiently! One loved by the users: Results ranked in 3D by similarity to the reference part. Pick any part in the search results and launch a quick search! We index your Native CAD geometry to provide the highest search accuracy! Being the first with a new product on the market has its merits! 3DPartFinder helps you reduce the time spent to reinvent the wheel and allow your team to concentrate their efforts on the real innovative aspects of your new product. More than 50% of the cost to create a new part is spent outside the engineering/design group. When you reuse an existing part you save all that money. Your design team can inspire new design from existing ones. They automatically identify the author of existing parts and learn from their experience and/or from their designs. From day one you can start measure your progress in reuse of existing parts. 3DPartFinder provides, at the frequency desired, a status report on the number of duplicates and nearby duplicates at any given time. 3DPartFinder for PTC Creo CAD interface with Windchill PLM system to provide the best experience to users. It automatically index new and modified parts stored in Windchill PLM or a Windows Server. This helps you to concentrate on Innovation and improve your Productivity and Time-to-Market! 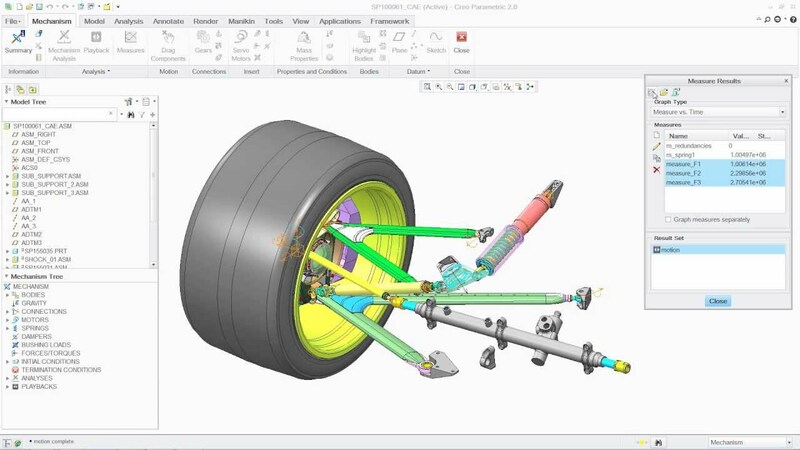 The investment we made to integrate our Shape-based Search Engine to PTC Creo CAD is for your benefit. We index the native CAD data without transformation which allow you to search and compare models with the highest accuracy. 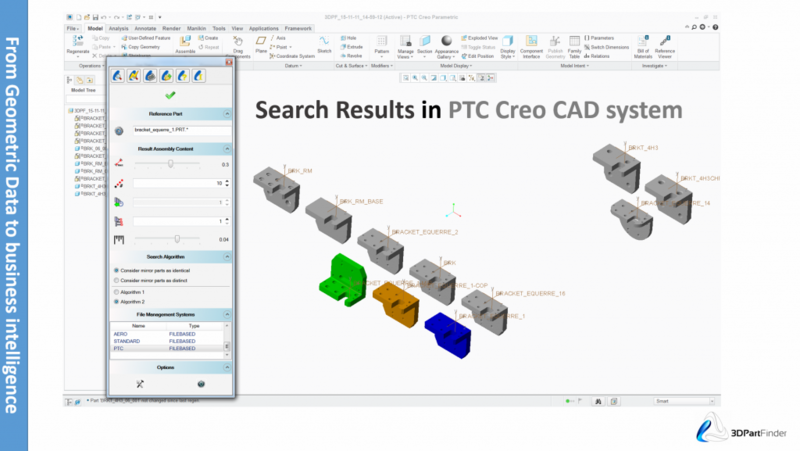 You can launch a search from a part uploaded in your PTC Creo CAD system or from a 3D rough model you just draw. Every year our solutions are tested in CAD systems to assure seamless integration. 3DPartFinder is part of PTC PartnerAdvantage Program to ensure users they can take advantage of all the capabilities of the new Product version.